Haywood says Steckler was not wearing any protective equipment such as a helmet. Haywood says conservation offficers strongly encourage the use of protective equipment while riding ATVs such as helmets, riding boots, gloves, and shin guards. 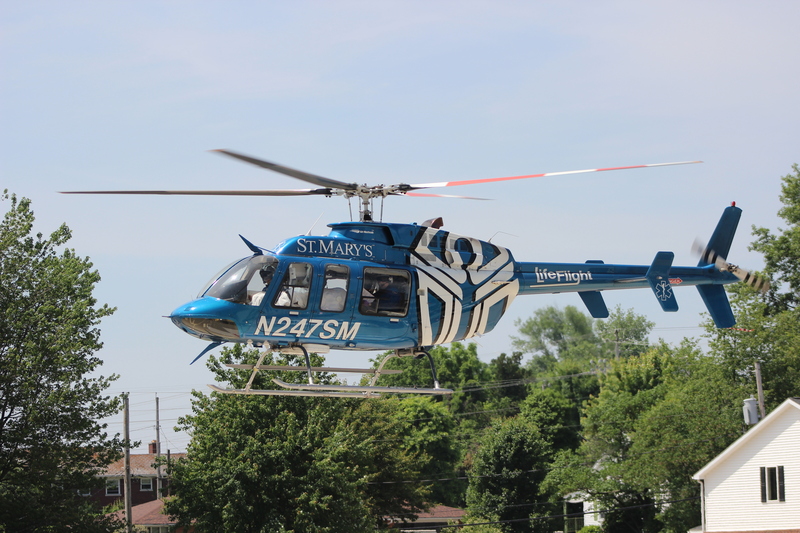 Lifeflight air ambulance leaving Jasper’s Memorial Hospital with Kendra Steckler enroute to Louisville.